Fall is for foodies...harvesting, lazy Sunday cooking, and above all, stuffing our faces. We flock to farms to pluck apples, decorate pumpkins, and shove all the cider doughnuts down the hatch...because fall traditions aren’t going to uphold themselves. As New Yorkers, we enjoy (and are used to) the best of the best in culinary options on a day to day basis. And what is better than fresh? Yeah, nada. In true autumn form, paying homage to the season, we so adore by appreciating the bounty of the harvest is how we roll. And, if you want to do it the most authentic way, you do it at the source: the farm itself. Farm-to-Table has earned more than its fifteen minutes of fame, and for good reason. Tasty reasons. More and more restaurants and farm-held dinners are popping up now more than ever. The time has come to dig into our inner farm roots and explore what traditional farm-to-table has to offer...all in the name of a good bite, of course. 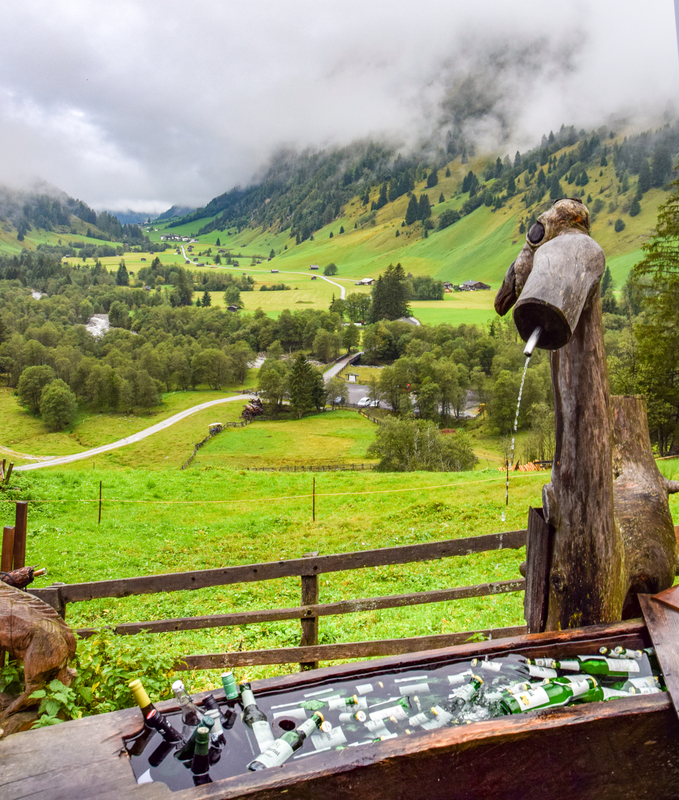 In Austria, the alpine farms are part of a year-round way of life for fresh, traditional food. If we’re going to learn anything about Farm-To-Table, we might as well do it from the masters. The fact that they're surrounded by impressive mountains doesn't hurt either. What is it about farm dining? Breaking freshly baked bread with strangers, turned friends, over a rustic table with goats "mahh-ing" in the background and infront of plates of delightfully delish foods- then that’s all we need to know. It’s natural, healthy food. It’s sustainable. It's history. It's charming. It’s an experience. If you’re eating farm-to-table, you’re eating the most seasonally appropriate products while giving back to the area they hail from, and that’s just all-encompassing goodness. 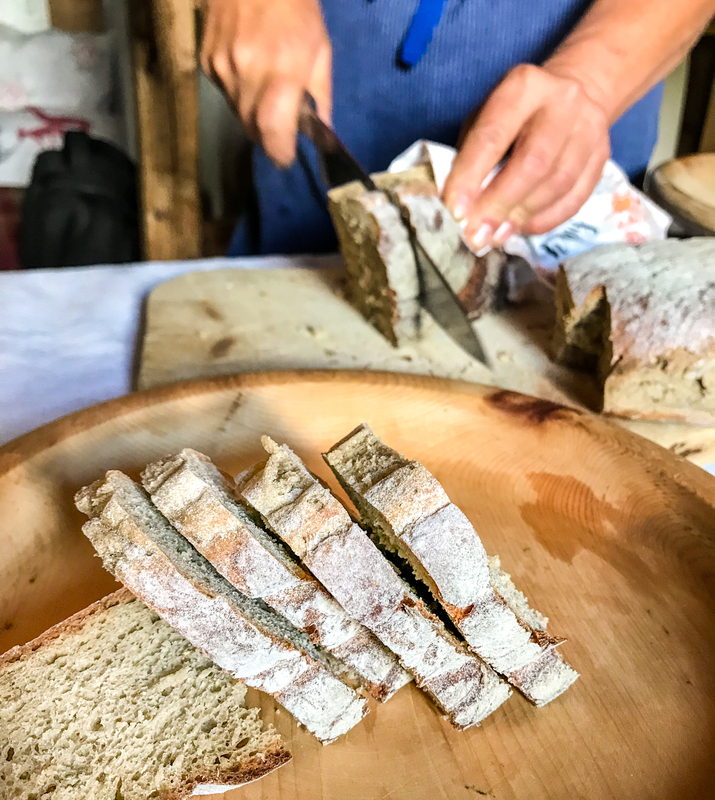 Traditional food sampling is part of any travel experience, and trust me you’re going to want to inhale the regional Vals & Wipptal valley fare in the Tirol region of Austria. Many of the farm restaurants also have lodging accommodations. A one-stop-mountain-farm-shop, if you will. Herbal salt: hand picked and blended for your sprinkling pleasure. Kasnocken: think pasta-potato-butter-cheese-onion skillet of your dreams. Paula Deen would be proud. 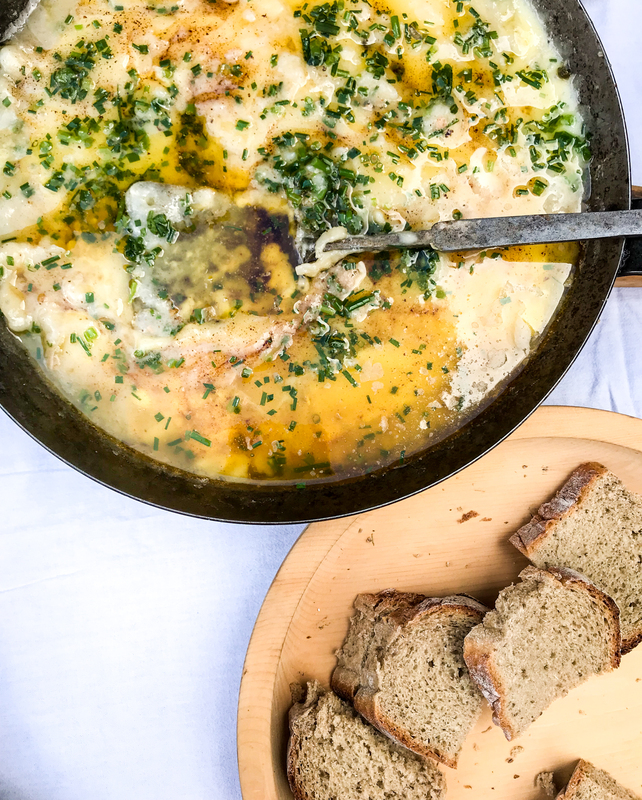 Spots in the valley to try this delectable grub: Das Lamm, Gastof Stockholder, Gasthaus Touristenrast, Gasthaus Olpererblick, and Helga's Alm. One of the perks of the location is its proximity to great wine. Tirol doesn’t produce wine itself, but Austria itself makes fantastic white wines (I can vouch for the Grüner Veltliner). Plus, you’re practically a stone’s throw from the Italian border. Need we say more on the vino front? Local beers are solid too, (try the Radler, a mix of beer + lemonade) especially when enjoyed in front of this backdrop. There are trails everywhere you look in the summer, and in the winter, the opportunity for ski-touring abounds. Dumplings and wine will warm your soul whatever the season. 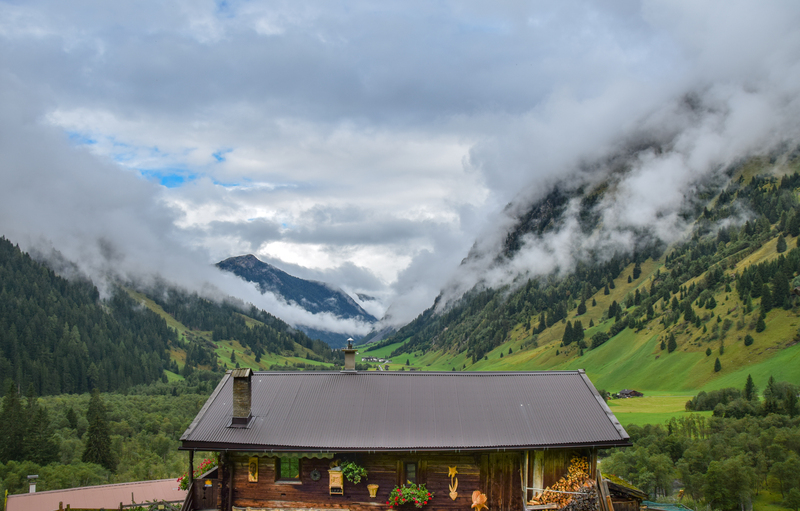 Cozy mountain huts and “Gastof’s” await you after a day romping around the impossibly beautiful Alps. Can’t get to over to Austria? Get your farm fill here in New York State. The good news is you can embrace the Farm-To-Table spirit a quick ride from the city. Committed to the farm spirit? Consider rolling up your plaid sleeves and enroll in the Schule der Alm (Mountain Farm School) where you can enjoy the literal fruit of your labor, and get back to basics. 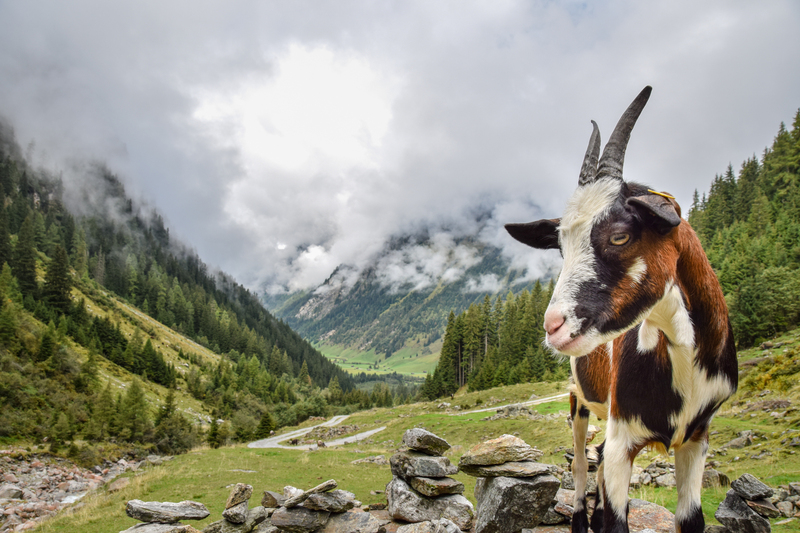 Learn how to build a traditional fence with only wood, milk the goats and afterward hike with them, collect your own herbs, or maybe even try your hand at mowing (no riding mowers here). We’re talkin’ being a part of your meal. A part of the farm, actually putting in the work. There's something about picking herbs that is oddly satisfying. Meeting the goats who gave you that delicious cheese, and thanking them. It makes you appreciate food that much more, proving that eating isn’t just a necessity...it’s a way of life.